Calling all knuckleheads! 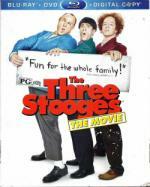 From the fiercely funny Farrelly Brothers (There's Something About Mary) comes this contemporqary take on the world's most beloved classic comedy trio...The Three Stooges! Left on the doorstep of a num-conventional orphanage as toddlers, Moe, Larry and Curly grow up eye-poking, face-slapping and head-clunking their way into adulthood. Now the bumbling trio — pure of heart, but dim of wit — find themselves on a madcap mission to save their childhood home from foreclosure. Can the Stooges survive the modern world, raise the money, and ultimately save the day? Why soitenly! Felt like some silly comedy this morning... so decided to pop this one in. If you ever seen any Three Stooges short you pretty much know what to expect going into this one. Just like the shorts it isn't the type I can watch often... but is fun when you are in the mood. I think they did a pretty good job on it. They cast the stooges well... and the storyline keeps your interest. Definitely worth checking out! I found the movie itself to be simply amazing. Even more so considering it is based on a true story. I was drawn in from the very beginning... and it kept my complete attention till the very end. A real feel good movie. One I couldn't recommend high enough. An excellent story that is wonderfully done. I just finished this film... and I already feel like I could watch it again. If that isn't a sign of an excellent film... I don't know what is. 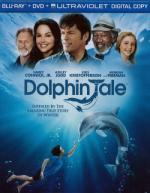 On the blu-ray of Dolphin Tale there is an animated short that is absolutely hilarious. Both Britt and I laughed all the way through it. It is called Ormie and the Cookie Jar. And I found it on youtube... check it out! Ok... just hit play above... why is it showing up double (2 images) in the player? 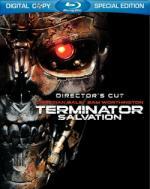 In the aftermath of Judgement Day and the takeover by the machines, John Connor (Christian Bale), the destined leader of the human resistance, must counter Skynet's devastating plan to terminate mankind. As he rallies his underground street fighters for a last, desperate battle, Marcus Wright (Sam Worthington), a mysterious loner from the past, challenges him with an impossible choice that will determine the future of the human race. I decided to check this one out next. This is the first time I ever seen this film. Every since the very first movie I have always wanted to see more on the actual war with the machines. And now we have an entire movie that takes place in that time. I was wondering why the actor that played Kyle Reece in this film looked so familiar to me... turns out he played Charlie in the "Fright Night" remake. As for the movie itself. It is I enjoyed it quite a bit. There was a couple parts of the storyline I didn't care for as much as the rest of the film... but over-all I definitely enjoyed it... especially all the action scenes! Great to see you like it too. Though we may be only 2 ... we are strong <G>. Wish it had gotten better reviews. I am used to being one of the few to like something! I liked it when I saw it. And I'm use to being one of the few to like some movies too. Evidently I am one of the few that went to see Lone Ranger. I think I will just revive this thread for this weekend since I have more blu-rays in my collection I can watched yet and more on the way. Titles in bold I haven't watched yet. These are titles I have on order. At least some of them should get here in time for my marathon. Titles in bold are ones I haven't watched yet. 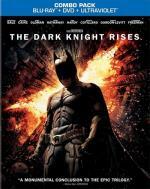 Dark Knight Rises is awesome on Blu. Yeah.... Britt and I watched it on BD when I first got it. But it is about time for a second viewing. I enjoyed this one quite a bit... but I was expecting more from it. I don't know... maybe I let the hype get to me a little too much. But since this is my second viewing of this film I doubt that. It has a pretty good story... but I would have liked to seen Batman on screen more then what we did. The way they did Bane in this one seemed a little odd to me as well. Not bad mind you... just odd. As for Anne Hathaway as Selina/Cat Woman... I didn't dislike her... but once again it seemed a little odd to me. But the question there is was it odd for me because of how I previously knew the character? Or was it odd for me because I have just recently watched Anne Hathaway play the princess in the Disney movie The Princess Diaries... and just seemed odd to me compared to that? I just don't know. This is one that is definitely worth checking out... just don't let the hype get to you. I would say it isn't my favorite in the franchise... but it is still well worth the time put in to watch it. Superstar genetic engineers Clive (Adrien Brody) and Elsa (Sarah Polley) specialize in splicing DNA from different animals to create incredible new hybrids. Now they want to use human DNA in a hybrid that could revolutionize science and medicine. But when the pharmaceutical company that funds their research forbids it, they secretly take their experiment underground – risking their careers to push the bounderies of science and serve their own curiousity and ambition. The result is Dren, who exceeds their wildest dreams – and threatens to become their worst nightmare. This is my second time seeing this movie. I enjoyed it quite a bit. It held up pretty well on the second viewing. The storyline remains interesting and I like all the characters. I also liked the creature design and the effects in this one. If you never seen this film... give it a chance... I found it well worth the time put in to watch it. I have been waiting for this one to arrive since I found out I was getting it! This is a film I used to love when I was a teen (I am 44 now). And I haven't seen it since I was a teen! Going into this one, I must admit, I was a little concerned that the film wouldn't live up to my memories. But I do love '80s horror... it is my favorite decade for the genre. I got to say.... I so enjoyed watching this film again! While I may have built it up a little with my memories.... for the most part it lived up to them. The characters are a lot of fun. Story keeps your interest from beginning to end. And the make-up effects are good too. And what I like about this blu-ray release... it has both the director's cut ending as well as the theatrical release ending... which kept the ending open to a possible sequel. I highly recommend adding this one to your collection! I had a blast watching this one again after more years then I care to calculate. I enjoyed this one quite a bit... but I was expecting more from it. I don't know... maybe I let the hype get to me a little too much. But since this is my second viewing of this film I doubt that. I just rewatched this last weekend and liked it much better than during my first viewing at the cinema. The fact that Batman only shows up 45min late and then disappears again for a while 30min later didn't bother me. The action in those 30min very well made up for it and the stuff with Bruce Wayne and everyone was holding my attention very well. Once the timer is at 5min and down is not executed believably and then there is the whole "how/when did he get out". Read an interesting comment the other day; hope this wasn't already discussed here: Selina asks Batman about coming back or something and he says "No autopilot." Or did he, maybe he said "No, autopilot."...? Also, by the dialog he intended to get out "past the bridge". It is not shown whether he had even a chance to get out.